Here is a shot of the end of a plank where I'm casting an epoxy wedge to square the chocks. The blue tape is the "dam" around the plank end to keep the epoxy from oozing out. I'm in the process of glueing up my chocks. I used the same process that you did. What method are you using to glue your chocks to the plank? 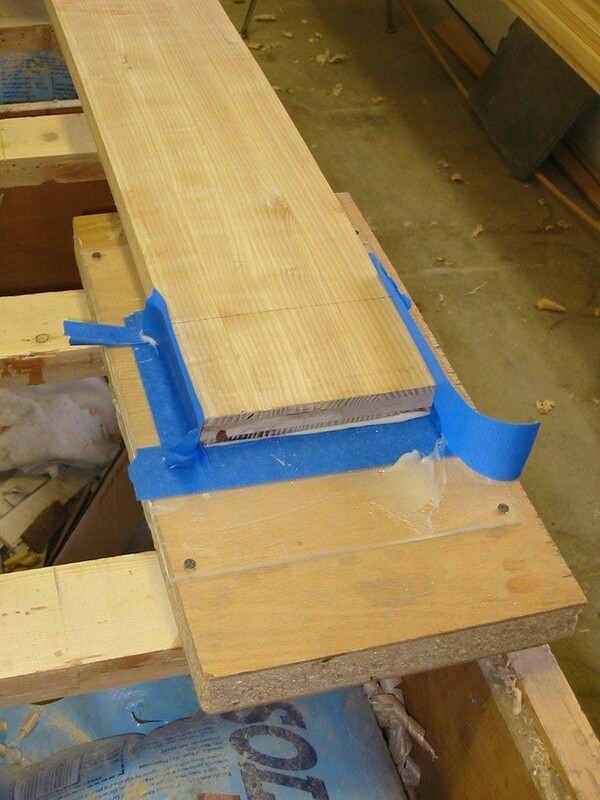 Are you weighing the plank down to glue the chocks on or is the angle you have from the wedge good enough? I do not want to use a chock cap - I want to glue the chocks right to the plank. All my planks I have used triangles and did the aliagnment on the ice before I ran.